We are proud to announce that the Loma Building Owners Association has selected Tinnelly Law Group as their association’s legal counsel. 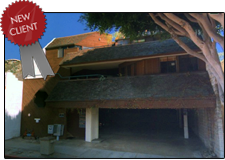 Loma is a commercial association located in beautiful downtown Laguna Beach. It consists of 10 professional office suites situated just blocks from the largest and most popular stretch of beach in Laguna, Main Beach. Our HOA attorneys and staff look forward to working with Loma. We welcome Loma to our growing portfolio of commercial common interest development clients.